New York. The land of skyscrapers, modern and art deco architecture. Home to millions of people. The ultimate urban jungle. But this city is more than steel, bricks and concrete. If you’re walking around New York, you’re bound to bump into a park sooner rather than later. 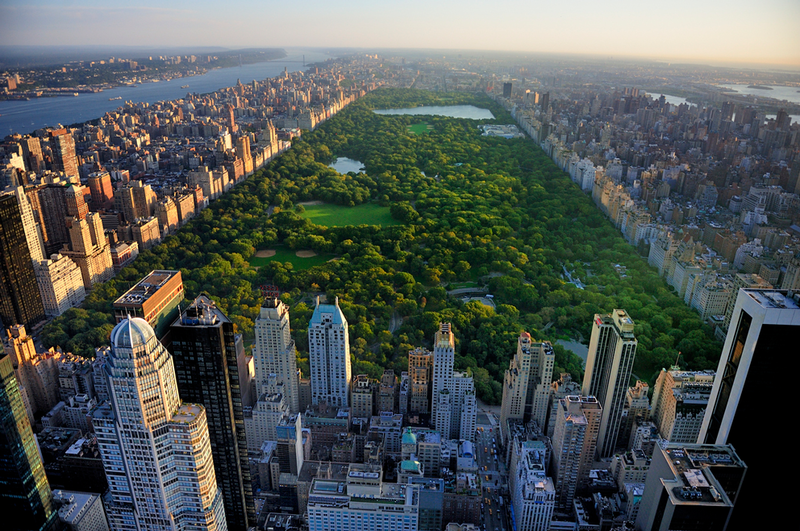 Here are The New Yorker Hotel’s favorite parks. Who hasn’t heard of New York’s urban oasis? Central Park brings together runners, bikers, movie lovers, tourists, locals, bird-watchers, families... The list goes on. 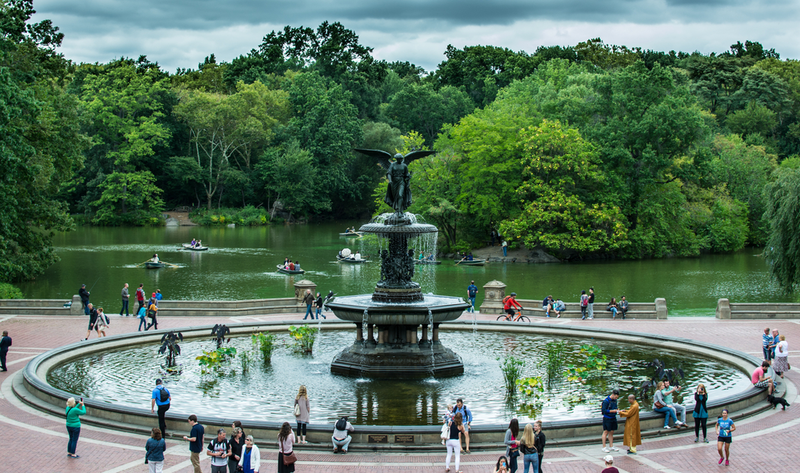 With over 800 acres of land, this park has well-known sights, such as the Wollman Rink, The Pond, The Great Lawn, Sheep Meadow, Bethesda Terrace and The Mall, as well as hidden nooks and crannies. Every season offers something new and exciting, so don’t forget to stop by Central Park next time you’re in NYC, regardless of the time of year. 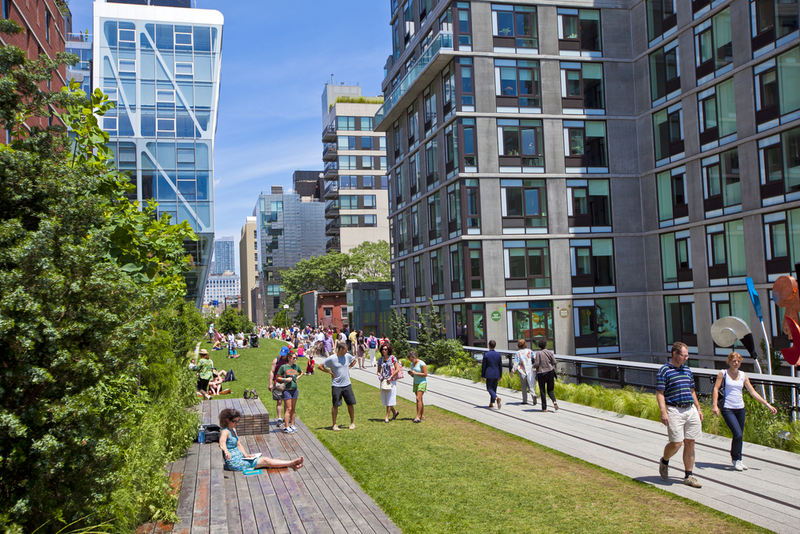 New Yorkers love The High Line, and what isn’t there to love? This Chelsea park is a symbol of creativity and resourcefulness. It was created on a former New York Central Railroad spur on the westside of Manhattan. It’s a way for the city of New York to embrace the old and build something new and exciting from it. 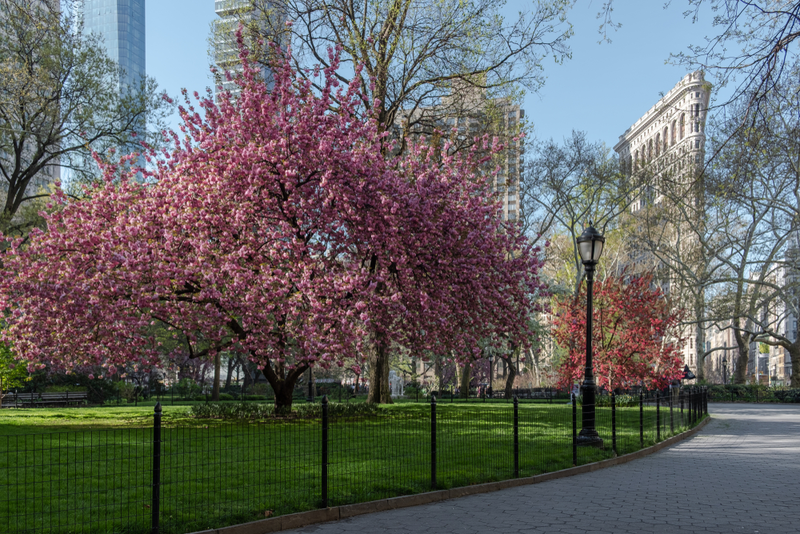 Located just a few blocks from The New Yorker Hotel, this park measures 1.45 miles and is home to hundreds of species of plants and trees. There isn’t anything quite like it in the city. It’s events, sculptures, exhibitions and guided tours make it a must-see attraction. As a plus, you’ll walk past some of the best sights in Chelsea, including Chelsea Market. If you’re visiting the Flatiron building, you might as well stop by Madison Square Park. You’re probably doing it anyway, as some of the best photo angles of this quirky building can be taken from the park. Although this park is a lot smaller than Central Park or The High Line, there’s plenty going on each day. The park is always featuring sculptures and art installations by renowned artists. What’s more, the gardens are carefully maintained to keep the park as a horticultural paradise. 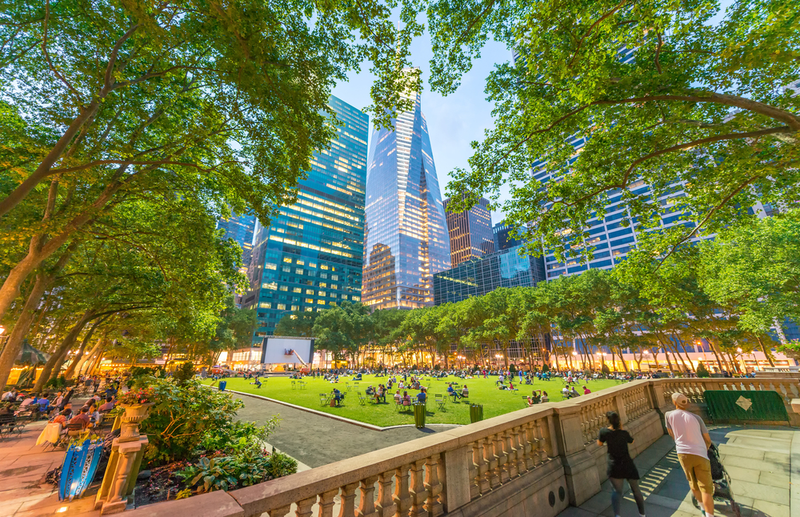 This is another park you’ve mostly likely heard of, just one subway stop from The New Yorker Hotel, Bryant Park holds popular seasonal events, such as the Winter Village around the holidays and the free, open-air cinema during the summer. There are always fitness classes, workshops, games and cultural events going on throughout the year. You can climb on the beautiful Carousel, grab a bite at the food kiosks or have a sit-down meal at the Bryant Park Grill and Café. The tip of Manhattan is not only the gateway to the Statue of Liberty, Ellis Island or Governors Island. 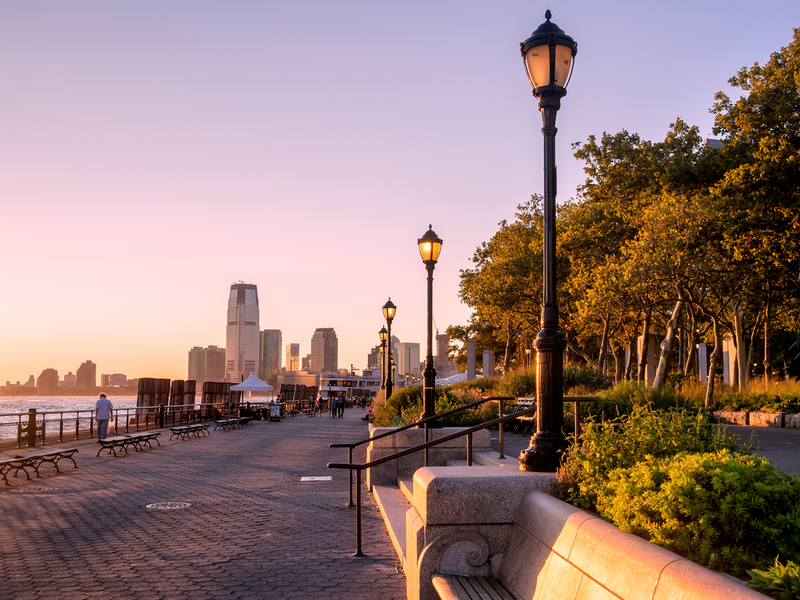 It’s also the location of Battery Park, a 25-acre park that houses perennial gardens, monuments, a lawn, an urban farm, a fountain, a biking path and much more. One of the top attractions is the SeaGlass Carousel: a stunning and innovative cross between an aquarium and a modern carousel. You have to see it, even if you’re not going with children! With so many exceptional things to see and do in New York, all you need is the perfect hotel. The iconic New Yorker Hotel is in the heart of Manhattan, close to most of the city’s top attractions.